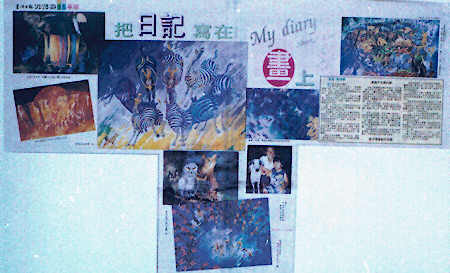 " My Diary 1985-1988 "
Shoko LEE bade farewell to Japan in 1972. 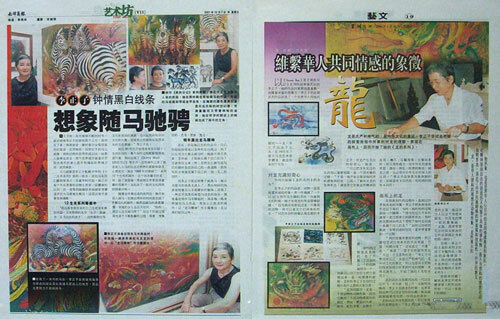 She began a new life and artistic career and became a Malaysian citizen after marrying LEE Kian Seng. 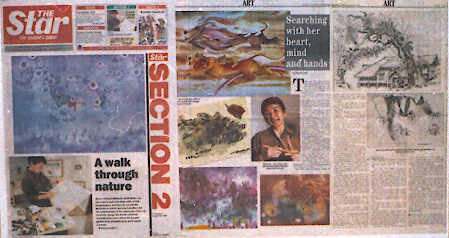 Her art corresponds to the different phases of her life: from publishing Sunny Boy in 1980, to "My Diary" series from 1980 onwards, which includes the “Soul-Dragon Horse (1989-2006) series, and more recently, her travel journeys such as the India Nepal pilgrimage in 2008. 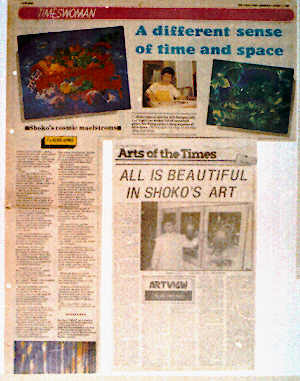 Shoko finds her inspiration in nature and subject matters of everyday life. 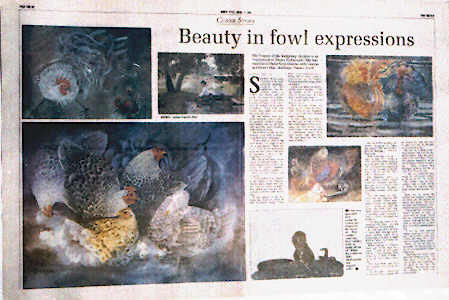 Her vivid imagination has transformed ordinary objects and animals into cheerful individuals bursting with exuberance. 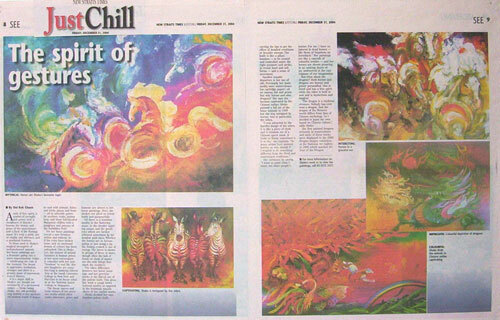 Status : Full-time artist since 1981 (Visual art). 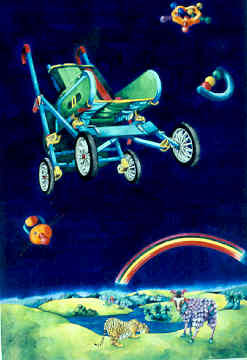 Major medium : Painting (oil, watercolour, ink) and Children Books. 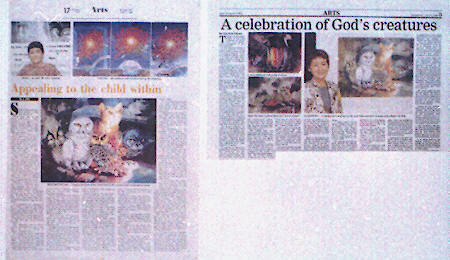 2012: One person exhibition @, Georgetown Festival.Penang State Art Gallery (27thJune-8July2012) . 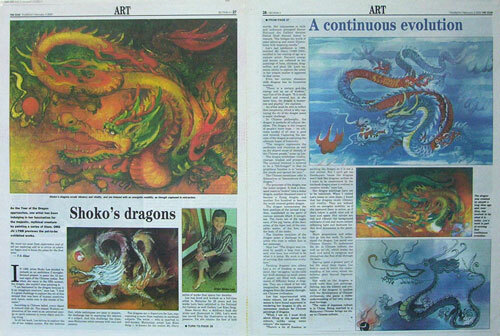 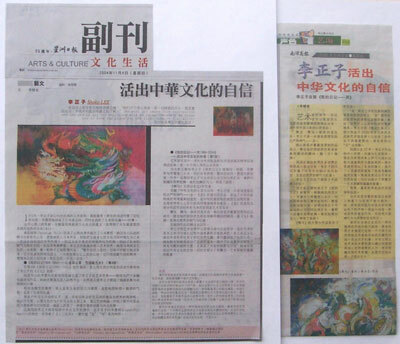 2000: < 2000 Dragon Images > (group show) National Art Gallery, Malaysia. 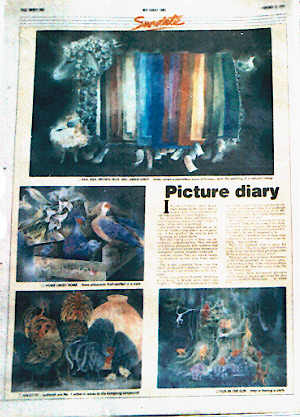 1996: < My Diary 1989-1993 > Solo Watercolour & Ink Paintings Exhibition, Klang, Malaysia. 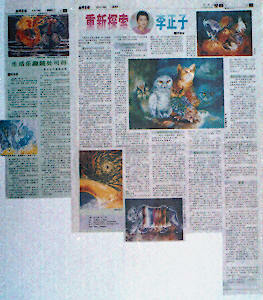 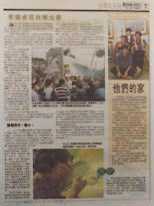 1996: < My Diary 1985-1988 > Solo Watercolour Paintings Exhibition, Klang, Malaysia. 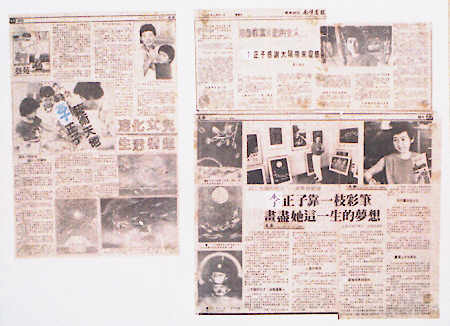 1992: < Wanita dan Kreativiti > (group show) National Art Gallery, Malaysia. 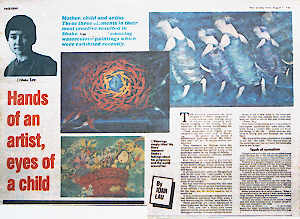 1991: < The Malaysia ness of Malaysian Art: The Question of Identity>(group) National Art Gallery Malaysia. 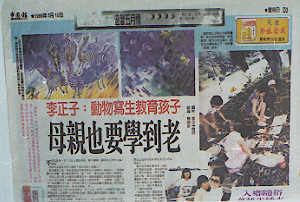 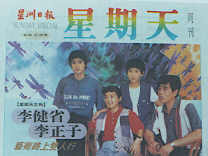 1991: < Nuansa > (group show) National Art Gallery Malaysia and Depdikbud, Indonesia. 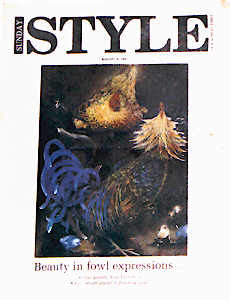 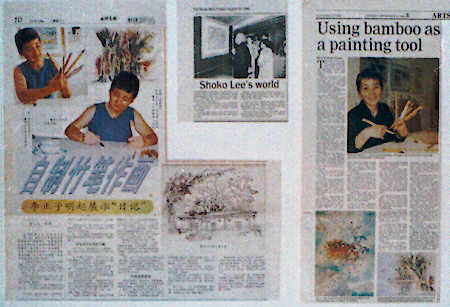 1985: < My Diary 1983-1985 > Solo Watercolour Paintings Exhibition, Kuala Lumpur, Malaysia. 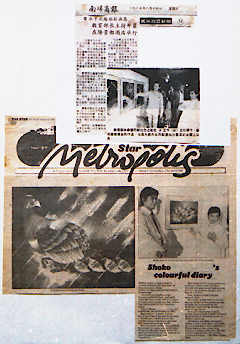 1983: < My Diary 1981-1983 > Solo Watercolour Paintings Exhibition, Kuala Lumpur, Malaysia. 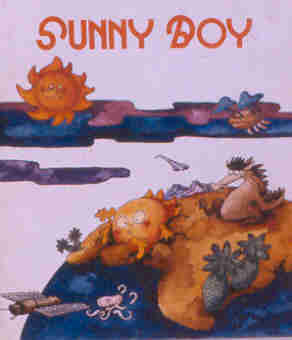 1980: < Sunny Boy >children book published by Berita Publishing, Malaysia. 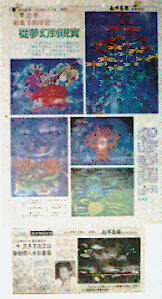 It was featured as one of the books that represented Malaysia at the Frankfurt book Fair, Germany in 1981.